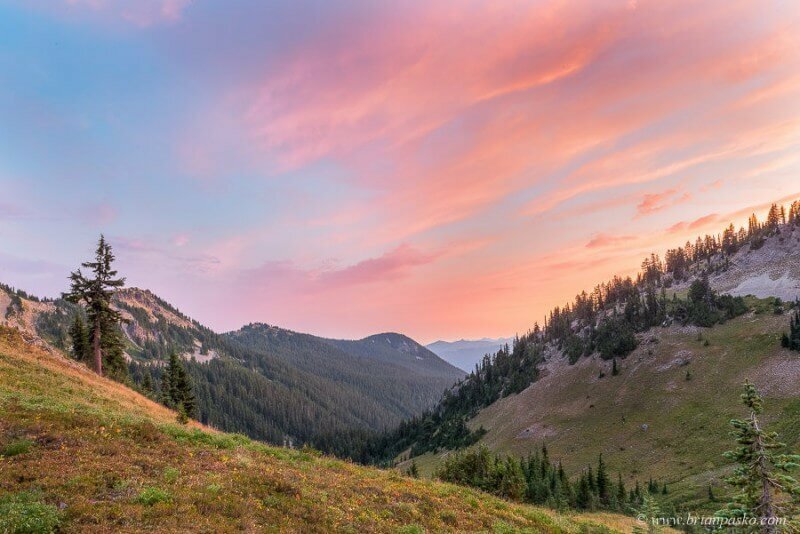 On a Tuesday evening in August I found myself encamped at 6000 feet over 15 miles from the nearest wifi or cell phone connection. It was pretty rough. I was forced to watch the sun set across the goat rocks massif. Meanwhile, I had to endure the bleating of a herd of 50 wild mountain goats that were grazing above me, complete with little ones frolicking in the meadow. To make matters worse, two marmots began whistling at us from either side of a glacially fed stream and throughout the night we had to listen to the white noise of an adjacent 20 foot waterfall. My dog was just beside herself. I almost couldn’t take it either. A 105,600-acre alpine wonderland, the Goat Rocks Wilderness is a portion of the volcanic Cascade Mountain Range in southwestern Washington between Mount Rainier and Mount Adams. 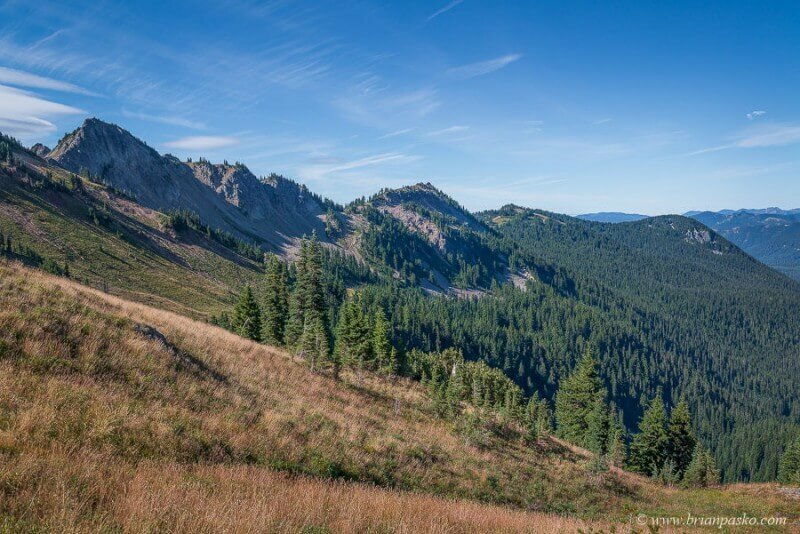 The Goat Rocks are remnants of a large volcano, extinct for some two million years. 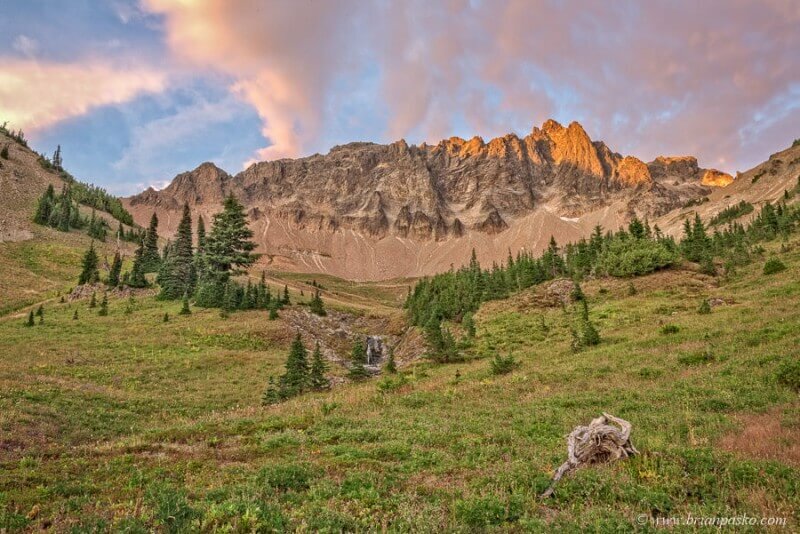 This ancient volcano once towered over the landscape at more than 12,000 feet in elevation, but has since eroded into several peaks averaging around 8,000 feet. 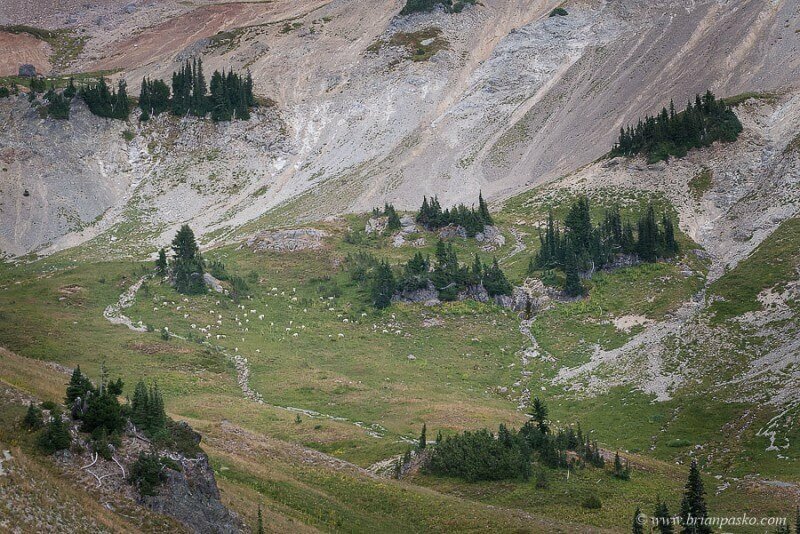 The cluster of rocks and peaks have become known as Goat Rocks because of the bands of mountain goats that live here. PreviousPrevious post:A Private AffairNextNext post:Truckin’ with NV Transport!